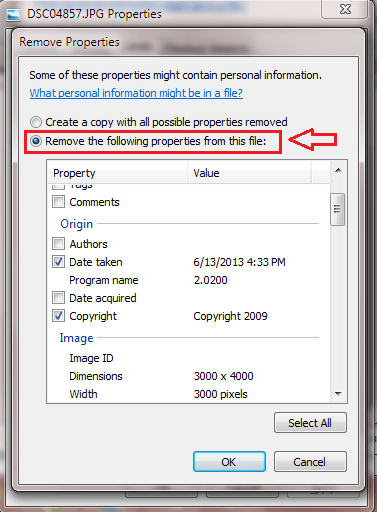 How To Remove Personal Information From Photos In Windows 10:- Who doesn’t like to pose for a cool selfie and put it on Facebook or some other social media with a bunch of hashtags? But do you have any idea about the level of personal information that you are giving away with each one of your photos that you upload online or send to someone? Photos contain a great deal of your personal information like your name, the device with which you took the photo, your location co-ordinates and many more. So what do you do if you still want to upload pictures anywhere you want without compromising all these sensitive information? The plausible solution would be to remove the information that you find sensitive from your photos before uploading them. The next question would be, is that possible at all? Yes, of course. 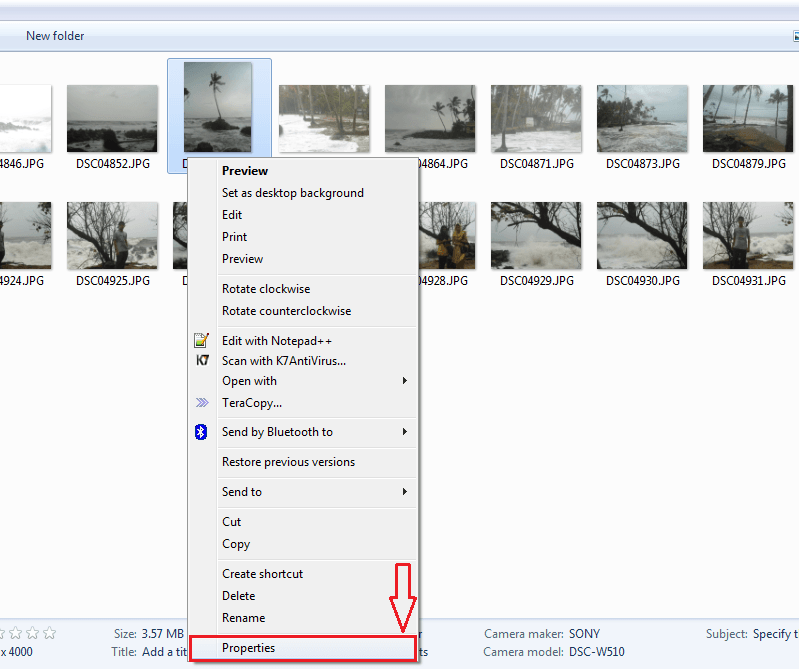 You can decide which all information your photo should contain and which all information your photo shouldn’t give away. Yes, you are the master of your digital photos. Sounds cool? Dive into the article then; you’re in for a treat! 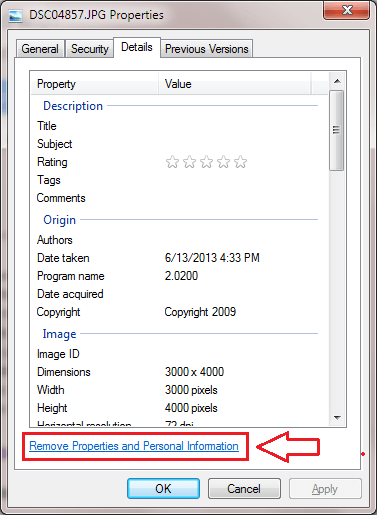 Find the photo that you want the personal information to be removed from. Right click on it and then click on Properties. A new window opens up with tabs namely General, Security, Details and Previous Versions. You have to click on the Details tab. 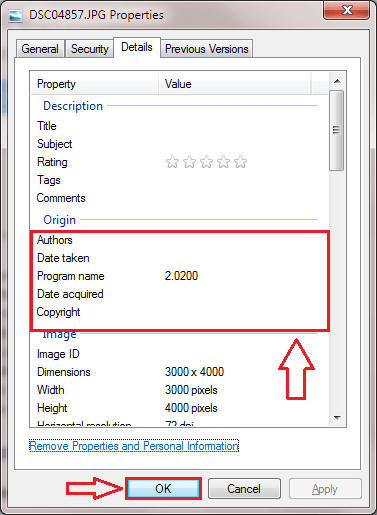 Under the Details tab, consider the section named Origin. Let’s say that I have a problem with my photo having the Date taken and Copyright information attached to it. So, I want them to be removed. For removing such information, click on the link that says Remove Properties and Personal Information. 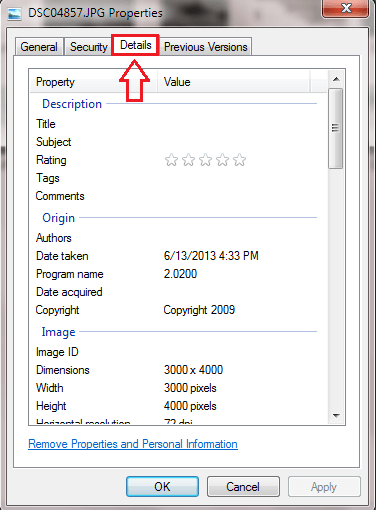 Now check the radio button corresponding to Remove the following properties from this file. Now you can check the details that you want to be removed from the photo. I have checked Date taken and Copyright information. Once you are done, click on the OK button. There you are, your photo no longer contains the information that you do not want it to contain. Simple, wasn’t it? So that’s how easy you can take away pieces of information from your digital photos. Now before posting pictures onto a social media, think twice and take a second to secure your privacy. Hope you found the article useful. Come back again as there is always something new waiting for you right here.